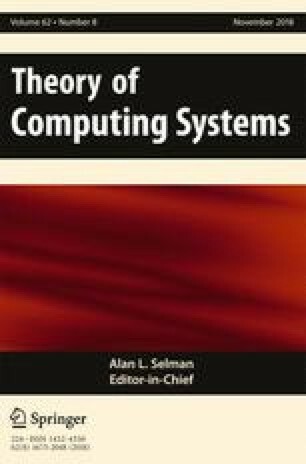 We consider the problem of dominating set-based virtual backbone used for routing in asymmetric wireless ad-hoc networks. These networks have non-uniform transmission ranges and are modeled using directed disk graphs. The corresponding graph theoretic problem seeks a strongly connected dominating-absorbent set of minimum cardinality in a digraph. A subset of nodes in a digraph is a strongly connected dominating-absorbent set if the subgraph induced by these nodes is strongly connected and each node in the graph is either in the set or has both an in-neighbor and an out-neighbor in it. Due to the dynamic nature of ad-hoc networks, distributed algorithms for this problem are of practical significance. Hence, we seek algorithms that do not require centralized computation and yet yield good approximation factors and/or behave well in practice. We present a first distributed approximation algorithm for this problem. The algorithm achieves a constant approximation ratio if the ratio of the maximum transmission range over the minimum transmission range in the network is bounded and takes O(Diam) rounds, where Diam is the diameter of the graph. Moreover, we present a simple distributed heuristic algorithm and conduct an extensive simulation study showing that our heuristic outperforms previously known approaches for the problem. Based on ideas suggested and partially developed in two conference papers  and . This work was partially supported by the German Research Foundation (DFG) within the Collaborative Research Center ‘On-The-Fly Computing’ (SFB 901) and the Federal Ministry of Education and Research (BMBF) as part of the project ‘Resilience by Spontaneous Volunteers Networks for Coping with Emergencies and Disaster’ (RESIBES), (grant no 13N13955 to 13N13957).